The most sharable content has become the foothold for the success of any publishing website. Buzzfeed leads the scene with the fresh and innovative. Founded in 2006 by Jonah Peretti. The site started out as a news and viral posts sharing entity but has since grown into one of the most loved and recognized social media news and entertainment companies around the world.Peretti began the site in a viral lab back in 2006. Within a short span of time, the portal has grown into what they claim as the “social news and entertainment company.” Today it publishes articles under multiple domains, including news, entertainment, animals, NSFW etc. The company which began small managed to get hold of one of the leading venture capitalist firm, Andreesseen Horowitz, back in 2014. With their efforts, they were able to double their initial funding. With Horowitz providing more than $50 million in funding, Buzzfeed was soon able to expand rapidly and employ a talent force of close to 500 more people. The site generates income through native advertising that more or less matches its own content. The portal does not rely on banner ads to make any of the revenue. BuzzFeed has close to 550 people under their wing and is regarded to value at close to $850 million. They have also managed to acquire media houses like Kingfish and Torando Labs- The team becoming BuzzFeed’s first data engineers. One of the major reasons for the success of BuzzFeed is due to the fact that their content is enjoyable and simple to read. The news is both serious with real scenarios and fun with engaging content. This, coupled with various forms of entertainment that they offer, such as their video series, news generator articles and community makes them one of the most successful media houses in the United States as well as the world. They are also known to take user suggestions for their articles and awarding them with points with each successful suggestion. This has endeared them to many individuals and further increased their popularity around the world. BuzzFeed has its own data team that analyses and compares each social media article or share to ensure that they have a grip on the ones that go viral. This has enabled them to make inroads in the way they present their data on the internet. 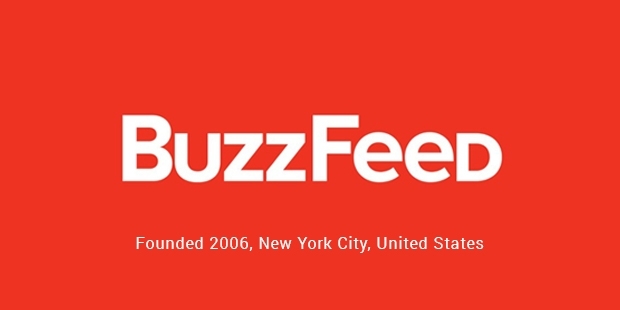 Though they continue to enjoy mass popularity on the internet, BuzzFeed was responsible for plagiarism in connection to their articles. The writer responsible, Benny Johnson was fired later and close to 41 articles that he had copied were found and subsequently corrected. BuzzFeed has regretted their actions and continue to emphasize on the originality of work. 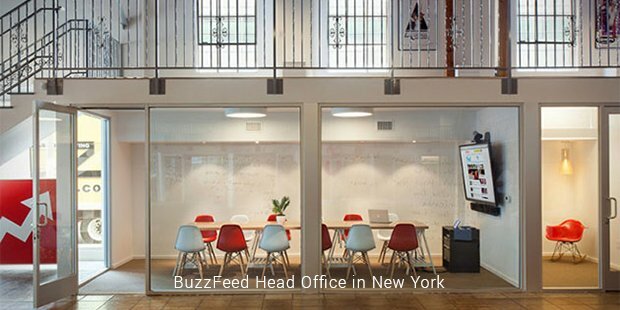 BuzzFeed remains one of the richest privately owned media firms in the world and they are looking to further expand. They have teams all over the world in countries such as India and Canada.